If you’re a fan of Pixar, you’ve probably wondered what you might look like as one of their iconic animated characters. 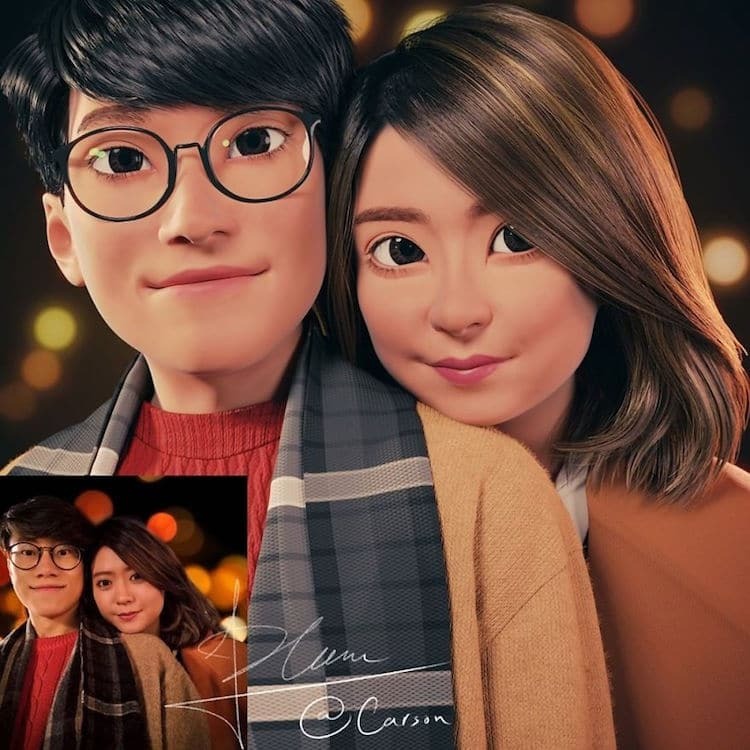 3D artist Lance Phan makes those dreams come true by transforming ordinary people into uncanny cartoon versions of themselves. From one-person portraits to cute couple snapshots, the resulting stylized characterizations look just like stills from the animation studio’s next big movie.